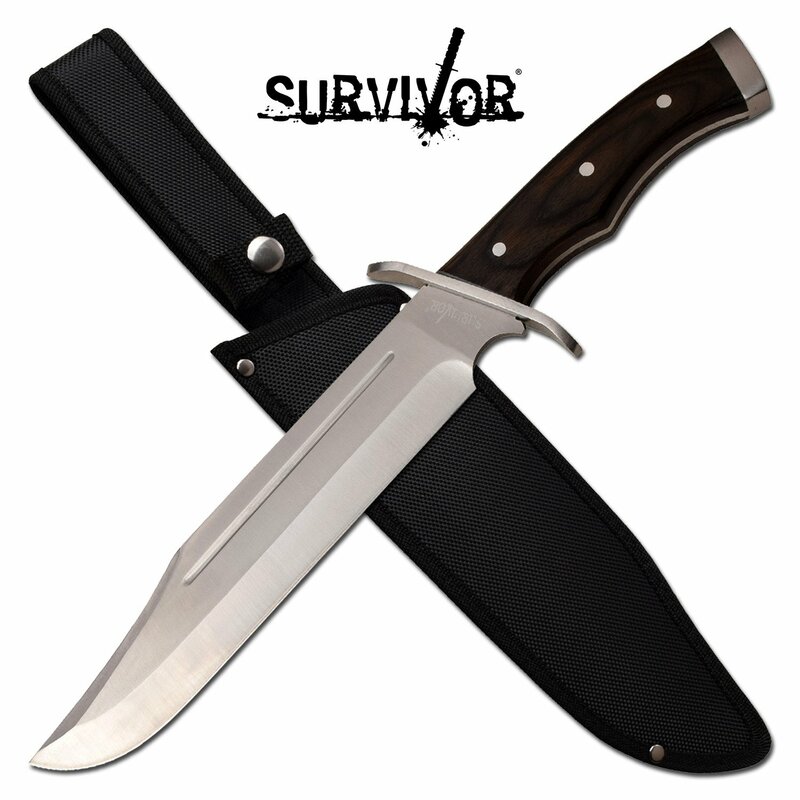 Bowie knife for sale at great low wholesale knife price. This cheap knife won't last long as we have low stock so buy this cool knife asap before it's sold out. Bowie knife for sale at great low wholesale knife price. 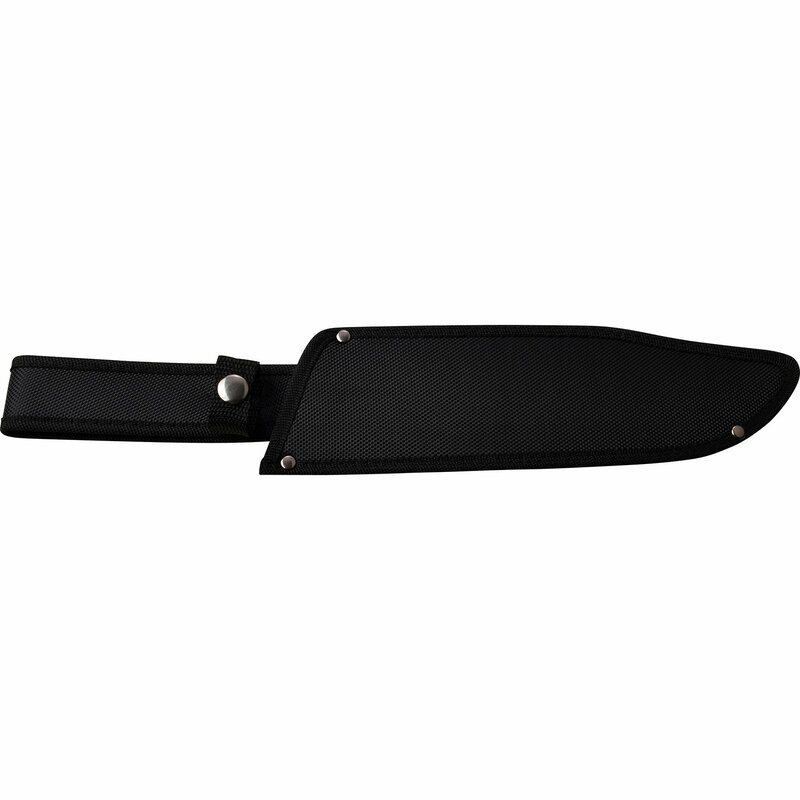 This cheap knife won't last long as we have low stock so buy this cool knife asap before it's sold out. 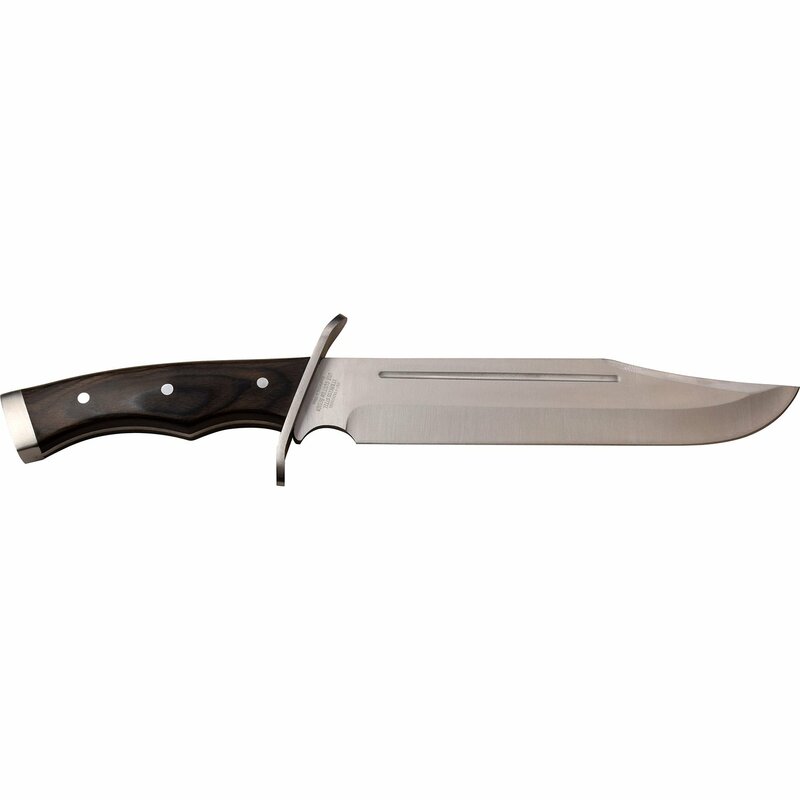 This is a full tang bowie knife with an impressive 15.5 inch overall length which is great for a hunting knife. 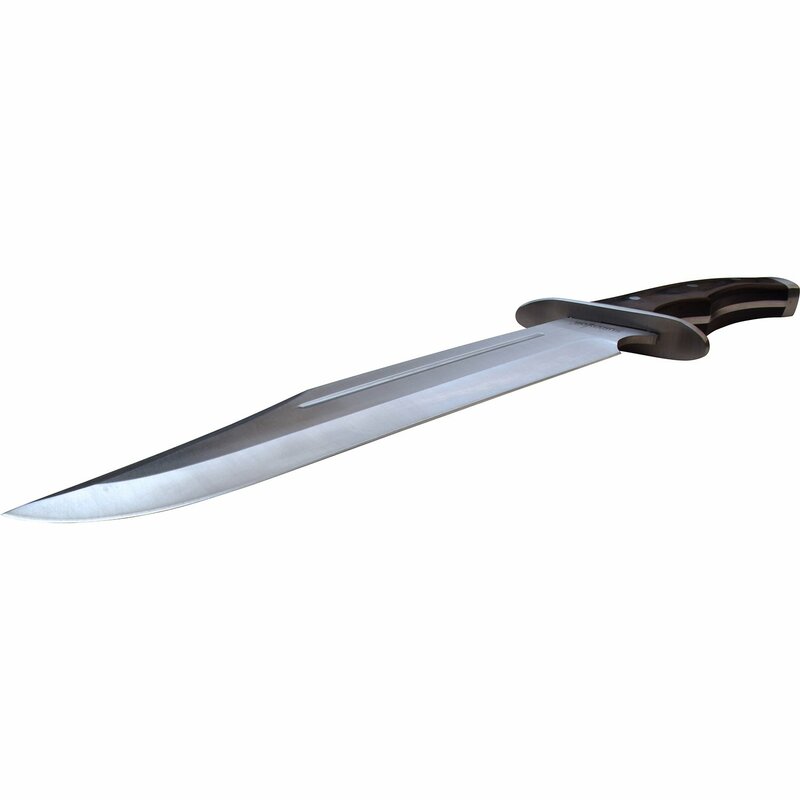 The big 10 inch long blade is made from 3cr13 steel and a stainless steel hand guard. Black pakka wood handle is 5.5 inches long. 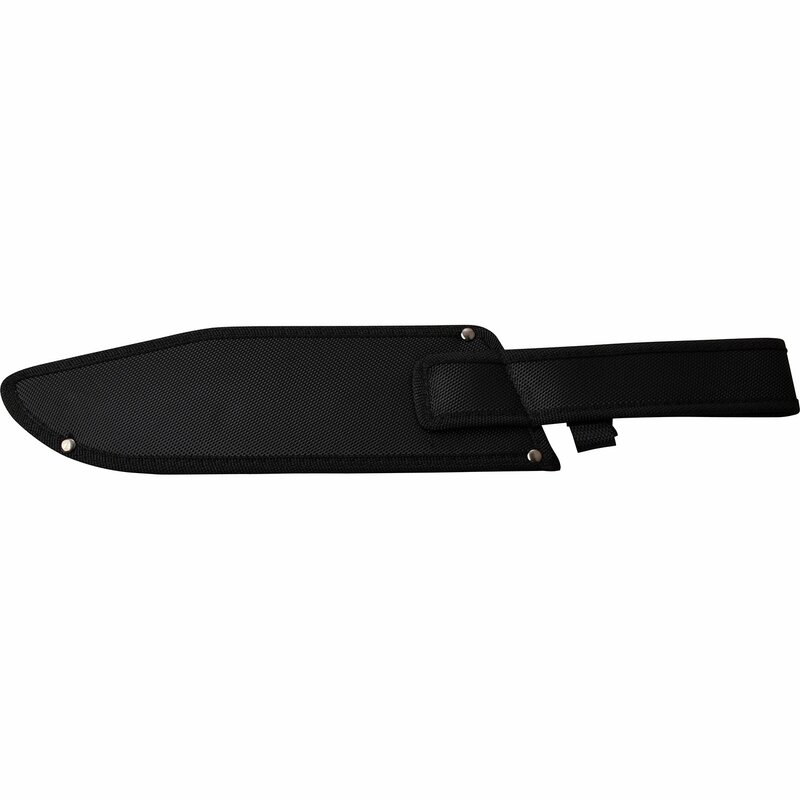 Knife comes in a nylon sheath.